Born more than 80 years ago, Mouton Cadet is the result of a history between Bordeaux wines and Baron Philippe de Rothschild. The youngest of the family and the owner of Château Mouton Rothschild, he was keen to bring the richness of the prestigious Bordeaux region to a wider audience. From the outset, Mouton Cadet has drawn on the skills and expertise of Bordeaux winegrowers to give the wine its unique identity. Baron Philippe de Rothschild's winemakers perpetuate that expertise by carefully choosing parcels of vines for their particular qualities. They then provide each individual winegrower with day-to-day assistance in cultivating their vines. In order to maintain constant quality at the highest level for Mouton Cadet, Baron Philippe de Rothschild has implemented an innovative sourcing policy based on parcel selection and partnerships with winegrowers. As a result, the company's winemakers are able to choose the best parcels for producing Mouton Cadet, each one being selected for its particular characteristics. Baron Philippe de Rothschild has thus forged select partnerships with over 450 winegrowers farming 1200 hectares (nearly 3,000 acres) of vines in the different terroirs of the Bordeaux region. All the know-how of Mouton Cadet serves a single purpose: sharing the "emotion of wine-drinking" with customers all over the world. Its unique style, constant and evolving from one vintage to another, is the result of a precise blend of the different grape varieties used to make the wine. Since the 1990s, Baron Philippe de Rothschild has been committed to reducing the environmental impact of its activities. ISO 9001 certification enabled the company to comply with international traceability requirements and food safety standards. 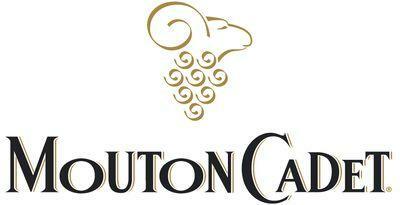 A reed-based wastewater treatment plant has further enhanced the Mouton Cadet Winery's commitment to the environment. In 2011, Baron Philippe de Rothschild teamed up with the CIVB, the Bordeaux wine industry representative body, to obtain the most rigorous environmental certification. Wine Spectator 85 Best Buy"Lightly perfumed, this white Bordeaux shows the fresh character of the 2006 vintage. The acidity is poised, lifted andgoes well with the pink grapefruit flavors. Drink now."